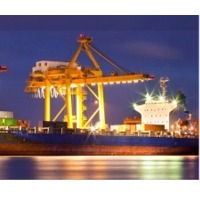 Browse marine-oil suppliers by country and region. Furnace oil, used marine oil. Short on time? Let marine-oil sellers contact you. Marine gas oil (MGO), furnace oil (IFO) and lub oil. Marine gas oil, lubricant, bunker. Oil, marine oil, antiques, spare parts for used marine engines. Marine microalgae DHA and ARA powder and oil. Shark liver oil (squalene or alkylglycerol), other marine products, herbal soap. Used marine engine, aux engine, pumps, compressor, oil purifier. Herbal extracts, vegetable and marine oils, amino acids, food aditives. D2 crude oil , used railscrap, cargoship scrap, bauxite, stationary things, toys, electronic. Bottle opener, keychain, mobile clips, non-woven bags, caps, pins, cups, lamp. Cereals, pulses, oil seeds, vegetables, millets, fruits, spices, marine products.